Engineering graduates earned £5,000 more than the average salary for graduates, and their problem solving and numeracy skills are widely sought in a range of industries. These are two findings from ‘Engineering Today: The Supply and Demand for Engineers in the UK’ from the ECITB (Engineering Construction Industry Training Board), which reveals the challenges facing the industry’s workforce. According to the report, of those who left a UK university in 2015/2016 with a degree in engineering, 68 per cent went into full-time employment and 13 per cent were in part-time employment six months after graduating. Approximately 30 per cent of those in part-time employment were completing further studies while working. Out of the 55 per cent of engineering graduates who did not take up work in an engineering or related field, six per cent went into business, banking and finance, five per cent sought employment in the IT or software field, and six per cent were employed in the retail or hospitality sector. 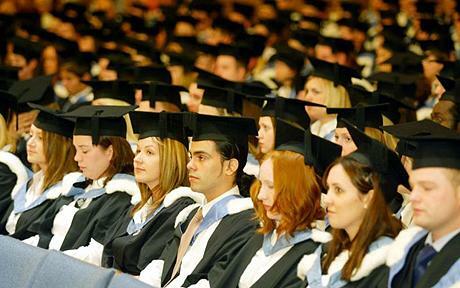 11 per cent of graduates continued their studies. Six months after graduation unemployment among 2015/16 engineering graduates stood at six per cent, compared to five per cent of all graduates. Employer feedback suggests that newly-qualified engineers are not receiving the right education for today’s economy, with companies citing the content of STEM qualifications, and a lack of workplace experience and soft skills, such as interpersonal communication, among the reasons why engineering graduates struggle to find jobs in spite of demand. Broader demographic analysis found the industry to be over 90 per cent white, and that evidence points to BAME (Black, Asian, and Minority Ethnic background) graduates receiving lower salaries on average and having fewer employment opportunities. Women are now better represented – making up nine per cent of all engineers in 2016 compared to five per cent in 2009 – but still remain a minority within the engineering profession. Consequently, the report recommends continuing efforts to encourage more women and BAME graduates into engineering professions and the forging of better links between employers and education establishments to ensure graduates have the skills training and experience required by industry. Chris Claydon, chief executive of the ECITB, said: “It is clear that engineering firms need to do more to attract engineering graduates into engineering professions. As our report demonstrated, in 2015/16 only 38.5 per cent went into engineering six months after graduating. We therefore need a concerted and joined-up effort from employers and the wider engineering community to communicate the many benefits of this career path and entice more graduates into engineering roles. “However, one area the graduates can focus on to make themselves more employable is through developing their leadership skills along with their engineering skills. Claydon added that salaries remain an incentive to enter the engineering profession, and that in the engineering construction industry, median earnings are 44 per cent higher than all sectors while engineering apprentices earn an average of £34,400 a year after finishing their studies. Furthermore, he said, a career in engineering provides plenty of opportunities to progress in the workplace and learn new skills. Engineers in the workforce: In 2016, there were just under 465,000 engineers employed in the UK, a 9% increase since 2009. Women in engineering: Almost 9% of engineers in the UK are women (2016), an increase from 5% in 2009. Diversity in Engineering: The industry is over 90% white. There is also evidence that BAME graduates receive lower salaries on average and have fewer employment opportunities. Earnings of engineers: In 2016, the average engineer’s income exceeded £42,000, 49% higher than the average earnings in the UK. Engineering graduates, from apprenticeships and higher education, earned £5,000 more than the average salary for graduates. Engineers in Higher Education: In 2015/16, 38.5% engineering graduates went into engineering professions, the lowest figure since 2012. Apprenticeships in Engineering: In 2013/14 over 90% of engineering apprentices sustained employment compared to an average of 75% for all apprentices. Engineering retirements: By 2026, more than 91,000 engineers, or nearly 20% of the workforce, will have retired or be close to retiring.